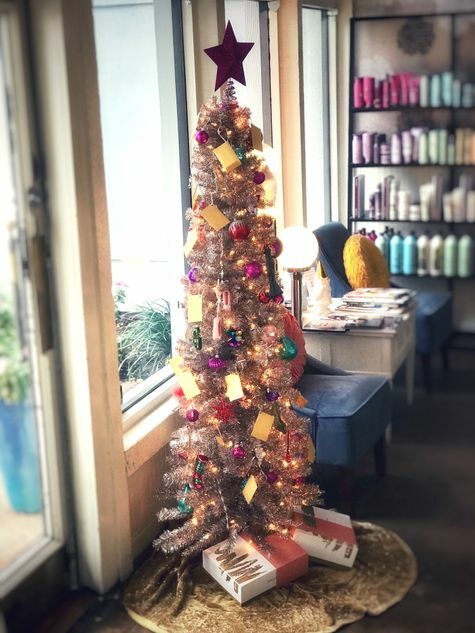 Urban Betty's Annual Giving Tree is back! Spend $100 in services and products combined and you'll get to choose a gift card off of our tree. They contain all sorts of prizes, redeemable in January, to add a little fun to your new year! You could score $10-$25 dollars off of a service as well as goodies like an Urban Betty T-shirt and full sized products. Some contain free services, haircuts, Kerastase Fusio Doses and more! *must be redeemed in January 2018 with a service.